So, now I'm back with my Elysians again. I would like to repaint my Valkyrie but I don't dare. For ones I used my brain and tried my new colour scheme on my Forge crashed Valkyrie. 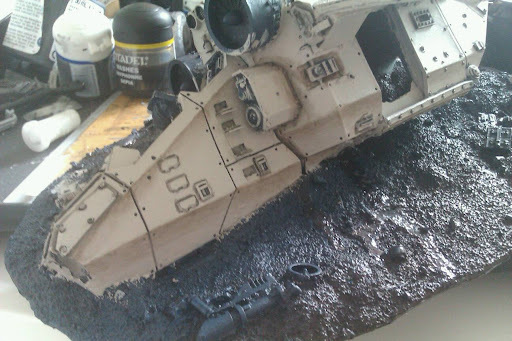 I want it to match the transport with the troops so it will be red details, don't know were yet. My intention were not heaven to earth but I used the same technique with lots of thin layers.